The Treasury Department, along with the OCC,. NCUA, FDIC,, and the FRS, have today published their Joint Fact Sheet on Foreign Correspondent Banking, Approach to BSA/AML and OFAC Sanctions Supervision and Enforcement. 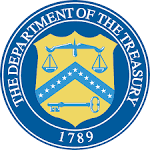 Readers are urged to read and retain a copy of this document, as it summarizes the official US Government position on a number of important subjects, including what the agencies expect of US depository institutions, on a number of topics. Financial investigators who are tracking the flow of millions of dollars stolen by the Cayman Gang of Four have reported that two Gang crew members, Ryan Bateman and Sharon Lexa Lamb, have been turned away, when they sought to open bank accounts in a number of countries. Apparently, the Gang is seeking to spread out their illicit fortune in several countries, including some of the principal offshore financial centers, to lessen the risk that their stash will be found, and seized, by the authorities. Their efforts, more often than not, have resulted in accounts declined. Most compliance officers, when conducting even the most rudimentary due diligence searches of Bateman and Lamb, will find so many "red flags," or indicia of criminal activity, that accepting these two fraudsters as clients is simply too dangerous to onboard them. One of the methods through which they are seeking to gain access to an account is to engage a local law firm, and have the firm, using a corporation that it forms on their behalf, but the new trend, for the banks to require all lawyers to disclose the name of the beneficial owner/client, has made this ploy no longer effective. As for the other two Gang members, Derek Buntain, he is laying low in his native Canada, although he is reportedly under investigation by Canadian law enforcement; Fernando Mendez is still living in the Cayman Islands, seemingly confident in that fact that the principal local law enforcement agency, the Royal Cayman Islands Police Service, will not arrest him, reportedly to keep the negative press about the $450m Cayman Gang of Four scandal to a minimum. Whether the newly-arrived police leadership will allow the agency's one year on-again-off-again investigation into the Cayman Gang of Four theft to quietly expire, or will move it forward, could affect how foreign investors treat the Cayman Islands in the future. Will the "financial pirates" that are the Cayman Gang of Four meet justice, or will they escape, scot-free ? A fair reading of the statement released this week by Amnesty International, regarding the terrorism financing charges, brought in Israel, against World Vision Gaza manager, Mohammed Al-Halabi, shows a slanted, and factually inaccurate, picture of the case, and gives the reader grounds to examine Amnesty's other presentations, for accuracy. (1) The trial will be "secret," while in truth and in fact, it will be closed to the public, as it will surely contain classified information about Hamas, a designated terrorist organization. (2) It refers to Gaza as "occupied,; although Israel withdrew from Gaza several years ago. (3) It states that Halabi did not have access to the amount of money that he is alleged to have diverted to members of Hamas, from the donations of World Vision, a Christian charity, but it does not supply the factual basis for that conclusion. (4) it complains that Halabi's atttorney will not be able to publicly share information, but fails to consider that the evidence could have come from sources in Gaza who could be killed, if Hamas thereby learns their identity. If this article, which verges on propaganda, and appears to seek to enrage the reader against Israel, rather than treat Halabi as a person who allegedly stole millions intended for the needy in Gaza, is typical of Amnesty's treatment of issues, then compliance officers may want to take all their other material with a grain of salt, and confirm any information they extract from Amnesty articles, through another source. The United States Border Patrol reports that it detained two individuals, in the San Diego area, traveling together southbound, in two vehicles. Seized was a total of $3,033,880 . It is the largest cash seizure, of record, in the area. In August, $2.3m was seized from a home in Anaheim, California. 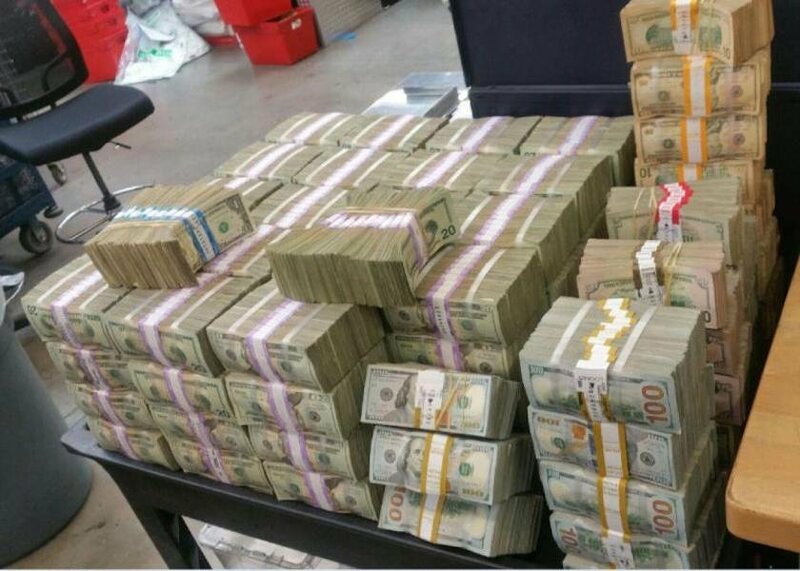 Bulk cash smugglers, seeking to repatriate drug profits to Mexico and Colombia, had $382m seized, by US law enforcement, in 2014; the money was taken in over 4000 bulk cash seizures. Not all the dollars are destined for Mexico. however. Some of the funds are destined for the Los Angeles area, where they are exchanged for gold or diamonds, which are then smuggled into Mexico, and exchanged for Pesos, and delivered to the Cartels. Through this technique, the Cartels avoid having to exchange the US Dollars for Pesos. The Cayman Islands Monetary Authority, more commonly known as CIMA, has reportedly increased internal security measures within the agency, allegedly to prevent the disclosure of confidential information to the press, and the public at large. It is thought that these new procedures were implemented as the result of the currently pending billion dollar civil suit, involving Middle Eastern parties, where massive fraud has been alleged, but this is unconfirmed; That action is now on trial. What we are hearing is that sources within CIMA are no longer freely sharing information with trusted confidantes, and that media access has been reduced. A close look at Cayman media stories, where CIMA is named or involved, shows that coverage appears to have diminished of late. Friends of CIMA officers also report hearing less small talk about Cayman Islands financial matters from their contacts. Investors, and businessmen, not residing in the Cayman Islands, depend upon the domestic Cayman press for information related to risk, and coverage of financial crime, regulatory violations, and criminal cases involving Cayman entities, is vital for this purpose. When a government agency deliberately seeks to become even more opaque, and succeeds in suppressing the free flow of information to the media, and the public, risk levels cannot be accurately accessed, and losses may more easily occur. It is completely missing from mention in the American press, but the Republic of Haiti has hit the panic button, after a reported warning, from the Obama Administration, that it will end all money transfers from the US to Haiti, in November, 2016, unless certain unspecified "corrective measures" are taken. Many Haitians have, for decades, been largely supported by remittances sent by expats, working in America, to their needy families in Haiti, but that route is also used to repatriate the proceeds of narcotics crime, and apparently the United States has lost patience with the Haitian financial industry's non-existent AML/CFT efforts. 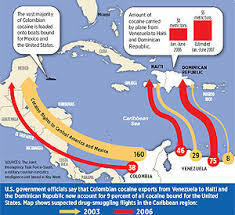 Most North American compliance officers are ill-informed about the thriving Venezuela-to-Haiti-to USA drug trafficking route, believing Haiti to be an extremely poor country, and not understanding its key role in drug smuggling and money laundering operations. The level of corruption in Haiti is considered by many experts to be the highest in the Western Hemisphere, and the participants have a vested interest in keeping their financial structure deaf, dumb and blind, regarding protection from financial crime, so unless the United States backs off, Haitians living in America could lose a large part of the resources that they depend upon to sustain their unemployed relatives at home. Will the American threat work ? We shall see on November first. HAS MOSSACK FONSECA GONE UNDERGROUND OVERSEAS ? The fact that Mossack Fonseca & Co. (New Zealand) was voluntarily reregistered last month, but its resident director is continuing to provide service to MF clients, means that one can expect that similar underground tactics are being employed by the law firm in other foreign jurisdictions. Obviously, the Mossack Fonseca brand itself has become poison, so the firm is using other, more low-profile, and possibly unknown, vehicles to give its dodgy clients, seeking to evade taxes, the zero-tax domicile they frequently demand. (1) Has an individual that you are looking at ever been employed by a Mossack company, or known affiliate ? Do you know the names of former MF staff in your country ? (2) Did MF also operate parallel companies, such as to create trusts, at the same time it used its named MF subsidiary, to sell companies to clients in your country ? (3) Who are the clients named in the Panama Papers using now, in your country, for corporate work ? Keep these successor companies, or ex-Mossack Fonseca staff, as far away from you as possible, please, for your own safety. Alan Koslow, a well-known Florida attorney and lobbyist, has entered a guilty plea to money laundering conspiracy, in US District court. Koslow was accused of accepting money that he understood was the proceeds of drug crime, and laundering it for individuals who were undercover law enforcement agents. 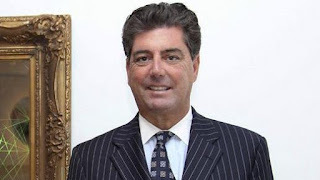 A prominent lawyer in Broward County, Florida, and a former City Attorney in Hollywood, Koslow represent gambling interests, and developers, whom he frequently appeared for, in local government meetings, where approval was often obtained, through his efforts as counsel. One report stated that he tested positive for cocaine three times, and was subsequently committed to a residential drug rehabilitation facility, after which the Court declined to release him, indicating that he may have had a serious addiction problem. The three-year delay in charges being filed, which consisted of a Criminal Information, indicating cooperation or a plea agreement, could mean that he was assisting law enforcement, or that the Government did not want to publicly expose a particular informant. Sentencing has been scheduled for November 10. The maximum penalty is five years, though a shorter sentence could be imposed, with or without a fine. Roman Valerevich Seleznev, the Russian hacker who disrupted businesses in the State of Washington, by stealing credit-card information en masse, has been convicted by a jury. Facing 34 years in Federal Prison, given the amount of damage he caused, and quantity of information stole, the issue of how he ended up in a Federal courtroom in Seattle will surely be a front and center issue on his certain appeal. The defendant was seized in the Maldives, and flown to Guam, which is US territory, for his First Appearance, and thereafter transported to SeaTac. 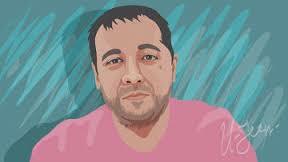 He claims the circumstances of his arrest and removal violated international, and local, laws. Most Federal decisions have not inquired into the precise circumstances through which a defendant is secured from abroad, except under the most extreme conditions, which do not appear to be in the instant case. Seleznev, whose father is a prominent elected official in the Russian Federation Parliament, and who suspected of involvement in a plan to spring his son from Federal custody, while he was awaiting trial, claimed, during trial, that his computer was tampered with by US law enforcement agents, after his initial arrest. He was represented by a large group of attorneys, including the lawyer who defended Ted Bundy, the serial killer executed in Florida. Panama watchers may be interested to know that Seleznev stayed at the Trump Ocean Club, in Panama City; his activities while in the country remain unknown, but there is major Russian hacker activity in Panama. Some Russian media have claimed that his case was politically motivated, due to his father's close association with the Russian leader, Vladimir Putin, and there were rumors that the US sought to make a deal with Russia, to exchange him for Edward Snowden, though this was denied. Sentencing has been sent for December 2, 2016. We have previously covered the fact that PEPs from most of the countries reportedly have accounts in offshore tax havens, and a large number of them used the Panamanian law firm of Mossack Fonseca to form companies in the most opaque and obscure tax havens, to hide their criminal proceeds from public view. Mossack also insured that these tourism companies were able to open accounts in such places as Liechtenstein, Luxembourg, the isle of Man, and Switzerland, so that payment for their services never even touched African banks; only the small costs of actual operation made it into the host countries. The local economies did not really benefits from these offshore businesses, notwithstanding that they were working totally within the host countries. 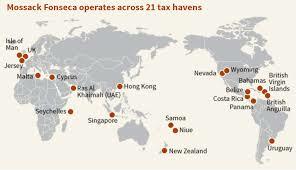 These tourism company operators, with the able assistance of Mossack Fonseca, skillfully ( and legally) avoid paying taxes in countries that sorely need them. What's wrong with their picture ? We have, in the past, warned our readers that, due to the agendas of some of its non-democratic member countries, United Nations findings of fact, in its documents and white papers, cannot be relied upon to be accurate. Now, things just got even worse: an engineer, working in Gaza, for a UN relief agency, has been arrested in israel, and charged with assisting Hamas, a globally designated terrorist organization, and the UN has, amazingly demanded his immediate release; here's why. In a press release, regarding Waheed Al-Borsh, the United Nations astoundingly claimed that their employee was "entitled to diplomatic immunity from prosecution, connected to acts he committed while performing his duty." How on earth is a non-diplomat, working as an engineer, entitled to diplomatic immunity, under international law, or the UN Charter ? Al-Borsh diverted UN funds to build a naval base for Hamas, and he saw that reconstruction money was exclusively used to rebuild homes owned by Hamas terrorists, that were destroyed in the 2014 war with Israel. 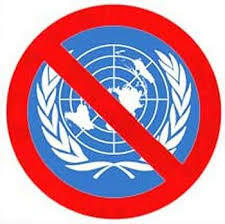 Has the United Nations now taken the side of terrorists ? If we were to follow the logic of the statement, all the UNRWA employees in Gaza, 95% of whom are Hamas agents, are diplomats ? When the United Nation seeks to protect a terrorist, the UN loses all credibility as an independent, neutral international organization, dedicated to peace, and becomes merely a spokesman for supporters of terrorism. It is fast becoming irrelevant in the 21st century. 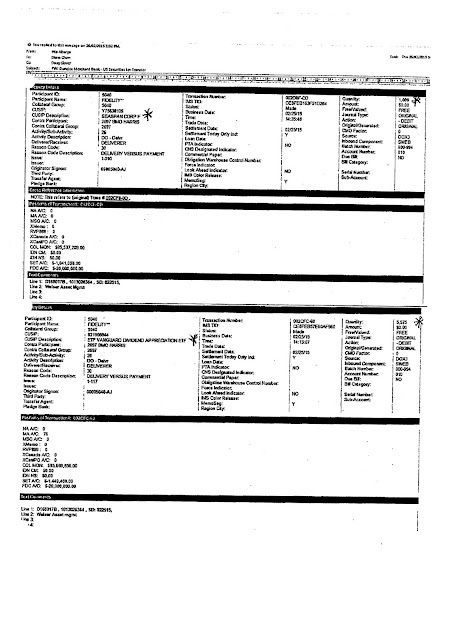 William Tynkaluk, then a Director of Leon Frazer & Associates, Inc., the Canadian wealth management firm, gave his clients inside information, about the confidential negotiations, by Jovian Capital Corporation, to purchase all the remaining and outstanding shares of Leon Frazer. Tynkaluk, who was a financial advisor to a number of wealthy retired Canadian businessmen, actively solicited them to trade in Jovian stock, based upon the confidential, non-public information that he acquired and possessed, by virtue of his position at Leon Frazer. Tynkaluk touted the Jovian stock, saying that its value would greatly increase, when news of the company's purchase of all the Leon Frazer shares became public knowledge. It is not known how many of Tynkaluk's clients made such purchases, based upon his illegal insider disclosures, but the transaction records, for the period prior to the public announcement, should be examined to identify them. The profits those individuals illegally earned must be disgorged, and those original Jovian shareholders, who did not have any inside knowledge of the impending purchase, were denied the profits they would have earned, had they held their shares, until after the purchase. Additionally, Mr. Tynkaluk asked a Canadian businessman, in the presence of a client of Tynkaluk, whether he could bring Russian purchasers to him, so that he could sell them on buying a large quantity of Jovian shares, and that he was not particular about the Source of Funds of the Russians' investment capital. He stated that dodgy or suspicious buyers would be acceptable, so long as they made large purchases of Jovian stock. It is known that Mr. Tynkaluk was called in, several times, to answer questions about this matter, before the Ontario Securities Commission (OSC), but it is not known whether a fine, or other sanctions, were imposed against him, or Leon Frazer and Associates, Inc., as this information is treated as confidential, by the OSC, and not available to the public. We ask that it now be disclosed, as a public service, and that the matter be turned over to the appropriate law enforcement agency, for investigation, and further action. Jurisdiction appears to be vested in the Royal Canadian Mounted Police (RCMP). We are also wondering whether details of these illegal trades, all made prior to public release of information regarding the pending Jovian acquisition, were fully disclosed, during the subsequent acquisition of Jovian, by Industrial Alliance Insurance & Financial Services, Inc. The Second Circuit Court of Appeals has affirmed the District Court decision, in the case of Licci vs. Lebanese Canadian Bank SAL, in which an action against the bank*, for facilitating financing of Hezbollah, through US banks, pursuant to the Alien Tort Statute, was dismissed, holding that customary international law does not recognize liability for the bank, a corporation, relying upon the ruling in Kiobel vs. Dutch Petroleum Co., a 2013 US Supreme Court decision. Readers who wish to review the complete text of the opinion can access it on the Second Circuit website http://www.ca2.uscourts.gov/decisions.html .The case number is 15-580, and the decision was handed down on August 24, 2016. *On the regulatory side, the bank previously paid a $102m fine, for providing financial support to Hezbollah, a Specially Designated Global Terrorist (SDGT) organization. WHAT WILL BECOME OF THE FARC'S LAUNDERED DRUG PROFITS IN TAX HAVEN BANKS, AND EUROPEAN INVESTMENTS ? The news from Colombia this week is that the government and its principal insurgent adversary, the Revolutionary Armed Forces of Colombia, more commonly known as the FARC, have reached an agreement on ending the 50-year conflict between them. the FARC, formed as the military arm of the Colombian Communist Party, has reportedly agreed to demobilize, and enter domestic politics. Of major interest to the financial world is the status of the billions of dollars in FARC narco-profits, which resides in tax haven banks, and has been invested overseas, including in the countries of the European Union. What will become of those illicit profits, and will the banks that knowingly accepted large deposits of the FARCs dirty money be sanctioned as a result ? Will FARC "diplomats" abroad help themselves to this money, as Russians did after the breakup of the Soviet Union ? Unfortunately, the details of the agreement have not been released, but if the ultimate disposition of the obscene FARC wealth is not that it will be repatriated, and used to compensate victims of the civil war, it is feared that greedy FARC leaders, no longer committed socialists, but now merely career criminals, will seek to enrich themselves. In short, they will take the money and run. We hope and trust that the Colombian Government has had the foresight to ascertain the locations of the FARCs dirty money stash, as well as investments, and will recover those assets for the people of Colombia. Otherwise, it will serve to fund a new group of transnational criminals. If you are working late tonight, or simply want to get a head start on tomorrow, here is a link to the FinCEN Notice of Proposed Rulemaking, that is scheduled for publication in tomorrow's (8/25) Federal Register. Entitled Customer Identification Programs, Anti-Money Laundering Programs, and Beneficial Ownership Requirements for Banks lacking a Federal Functional Regulator, it extends CIP and beneficial owner requirements to banks not previously subject to such requirements. You can review the complete text here. The extraordinary flurry of interest, in British Columbia real estate circles, regarding the massive arrests, in China, of over 450 individuals, accused of money laundering through underground banks, means that some of the readers definitely have something to hide. China severely limits the amounts that its citizens can legally transfer out of the country, and there is a large, and growing, illicit industry, whose sole aim to to move wealth, including, but not limited to, the proceeds of corruption, profits upon which taxes have been evaded, legitimate profits, and income from crime, out of China, by any means necessary. Given that the huge increase in real estate prices, in British Columbia, a favorite destination for Chinese investors, both legal and illicit, has now raised the profile of high-value purchases (remember the new tax), you can expect money launderers, working for Chinese clients, to see the handwriting on the wall, and start, immediately, moving client wealth out of the province, to "invest" in more low-key areas of Canada. In the United States, China is running a vigorous campaign to locate some its the more prominent expats, especially those who appear to be wealthy, corrupt, former PEPs. That must also make some BC Canadians nervous. Therefore, it is prudent for compliance officers, real estate attorneys, realtors, and title insurance companies in Canada, to take a close look at new clients, coming from Vancouver, especially if they are looking for properties to invest in. They may be comfortable paying top dollar for their purchases, be in a bit of a hurry to close, and use corporations or trusts as the vehicle through which the investment is made. They may not be of Chinese origin, as good money launderers can always find frontmen to place forward in such cases. In summary, if China's crackdown on illegal export of capital, of all types, has drawn the attention of certain people in British Columbia, and their advisors, expect at least some movement of wealth to quieter provinces; watch for it. Readers who have been following Rchard Chichakli's sanctions case know that he took his SDNY convictions for International Emergency Economic Powers Act sanctions violations, money laundering conspiracy, and several counts of wire fraud to the Second Circuit Court of Appeals. The lower court judgment and sentence were affirmed by the appeals court; we reported on the details in this blog earlier this year. "Appellant, Richard Ammar Chichakli, filed a petition for panel rehearing, or, in the alternative, for rehearing en banc. the panel that determined the appeal has considered the request for panel rehearing, and the active members of the Court have considered the request for rehearing en banc." "IT IS HEREBY ORDERED THAT THE PETITION IS DENIED." The defendant/appellant has now exhausted all his appellate remedies as a matter of right. Whether he will now file a Section 2255 Petition, to attack his conviction, is not known, but his Presumptive Release Date is June 11, 2017. Whether justice was served, in Richard Chichakli's case, is a matter of opinion. Should he be serving a long sentence, for money laundering, due to his association with Viktor Bout's African and Asian arms trafficking operations, or should his covert assistance, rendered, with Bout, to the intelligence services of the United States, in a number of classified missions, mitigate any punishment that he receives ? Should he have gotten a free pass, or a much longer sentence ? You be the judge. Was his silence during the trial, when he could have gone public with details of American operations overseas that certain government agencies would prefer remain hidden, honorable, or did he just opt to remain silent ? Whatever you think of him, Richard Chichakli's sentence of incarceration ends next year, and, as a US citizen, he will be released. I wonder what his plans are ? * United States vs. Viktor Bout, et al, Case No,: 14-4255 (2nd Cir.). The Reza Zarrab Iran sanctions violations case, which is pending in US District Court in Manhattan, is reportedy complicated by the fact that Zarrab is worth approximately $5bn, and the Islamic Republic has a claim on $2.8bn; it wants that money, and it wants custody of Zarrab. Reza Zarrab's partner in an elaborate sanctions scheme, the Iranian billionaire businessman, Babak Zanjani*, was sentenced to death in Iran, earlier this year, on corruption charges; Zanjani was funneling hard currency to Iran, to evade the international financial sanctions, and Iran claims he owes the state $2.8bn. There are indications that the death sentence might be modified, to a term of imprisonment, should he pay over the funds. Inasmuch as Zarrab, and other individuals with whom Zarrab and Zanjani are partners, have access to the money claimed by Iran, the country's judicial authorities, and officials, have made no secret of the fact that they want Zarrab, and the money, in their hands. What effect this will have on future exchanges of prisoners is not known. * Named a Specially Designated National (SDN) by OFAC in 2013. While it is not a prominent feature of the Consent Order, entered by the New York State Department of Financial Services, against Mega International Commercial Bank Co., of Taiwan, " a substantial number of customer entries, which have or had accounts at several other Mega Bank branches, were apparently formed with the assistance of the Mossack Fonseca law firm in Panama. Mossack Fonseca is one of the law firms at the center of the formation of shell company activity, possibly to skirt banking and tax laws worldwide, including US laws designed to fight money laundering." 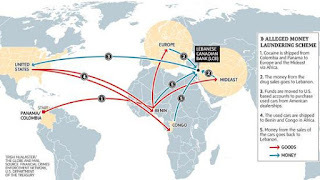 Mega Bank, which has drawn a $180m fine, had no less than two branches located in the Republic of Panama; One in Panama City, and more ominously, one in the Colon Free Zone, which many regard as the global center of the Black Market Peso Exchange. We are wondering why no bank compliance officers have been charged, or even named, by NYSDFS. Mega's BSA Officer for New York was based in Taiwan ! How on earth was he expected to properly discharge his duties, when he worked in another part of the world ? The all-star team of criminal defense attorneys that represents the Iranian gold trader Reza Zarrab, accused of violations of US sanctions against Iran, has responded to the US Attorney's reply to their pending motions, to dismiss, and to suppress evidence obtained during his detention and interrogation, upon arrival into the United States, and before his arrest. Readers who are not familiar with the legal arguments, and issues, previously presented in US v. Zarrab may want to access previous articles on this blog, which discussed the defense motions, and supporting memorandum, and the government's reply memorandum, in detail. (1) Zarrab cannot be prosecuted under the IEEPA, upon the facts of the case, where he is a foreign national, conducting strictly foreign transactions, with only foreign (non-US) entities. (2) The Rule of Lenity* is applicable, which bars prosecution under the statute & regulation, on these specific facts. (3) The Bank Fraud count does not fit the allegations of the indictment. (4) The charges of money laundering, and conspiracy fail, because they depend upon defective sanctions and bank fraud counts. (5) The motion to suppress should be granted. It is not normal for inbound travelers, at the border, to be compelled to deliver passwords for their electronic devices, and to disclose personal financial information. (A) There is not jurisdiction, under the IEEPA, to prosecute Zarrab. (B) Zarrab is not subject to the jurisdiction of the United States. (C) The Indictment failed to allege that Zarrab conspired to export any service from the US, or to cause any such export. (D) The Rule of Lenity, an Due Process, require dismissal. (E) The Indictment fails to allege Conspiracy to Commit Bank fraud. (F) The Indictment fails to allege a scheme to harm a US bank, or to obtain money under bank custody. (G) The Indictment fails to allege misrepresentations to a bank. (H) The Government misapplies the Bank Fraud statute extraterritorially. (I) The money laundering, and IEEPA charges impermissibly merge. (J) The Indictment does not describe a Conspiracy to Defraud the United States. 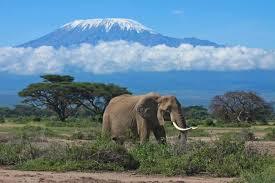 (K) The search of a traveler's IPhone is not routine; all phone data should be suppressed. (L) The Government's continue questioning of Zarrab, after he requested counsel, cannot be justified as arrest processing. A hearing, during which oral argument will be heard on these motions, is scheduled for September 6, 2016. If you had a question about how Hamas utilizes Turkey in its terrorist operations, particularly terrorist financing, follow this. A recent arrest, of a Hamas agent, in Israel, demonstrated how the terror organization's presence in Turkey simplified funding of operations in the West Bank or Israel. The individual who was detained, a confirmed Hamas agent, whose mission was to recruit, and pay, individuals, who would then commit terrorist acts. (1) The specially designated terrorist entity deposited funds in the agent's retail store in Istanbul. (2) The Istanbul store thereafter sent the funds to the agent's other store, located in Jerusalem. (3) the new Hamas recruits come into the Jerusalem store, and received cash from the store register. In many other countries in the Middle East, known Hamas agents are identified, and swiftly deported, but Turkey offers them safe haven. Another HAMAS agent was bulk cash smuggling Hamas cash, $25,000, from Turkey, into Israel, when he was detained. Funding for proposed terrorist acts was now complete. HAMAS maintains its global overseas operations center in Turkey, with the open blessing & assistance of the Turkish Government. Though there is some vague promise, on the part of Turkey to close up that facility, it is doubtful that this will occur. The Istanbul headquarters is headed by Saleh Al-Arouri, a leading HAMAS terrorist, OFAC-santioned, who has spent many years in prison, for terrorist actions. Do not expect him to cease his terrorist funding operations anytime soon irrespective of what Turkey says it will do. The New York State Department of Financial Services, judged by many to be the most effective AML enforcement regulator in the United States, has concluded a Consent Order with Mega International Commercial Bank Co. Ltd., A Taiwanese bank, with branches in New York and the Republic of Panama. This agreement, which includes a $180m fine, for massive AML deficiencies, and the bank's mandatory institution of major remedial measures, across the board, on compliance, should be required reading for all compliance officers. The deficiencies were so widespread, that you are encouraged to review the complete text, which can be accessed here. Just as important, especially for compliance officers at banks located in North America, are the details surrounding the AML failures at the bank's two Panama offices; one in Panama City, the other in the Colon Free Trade Zone. 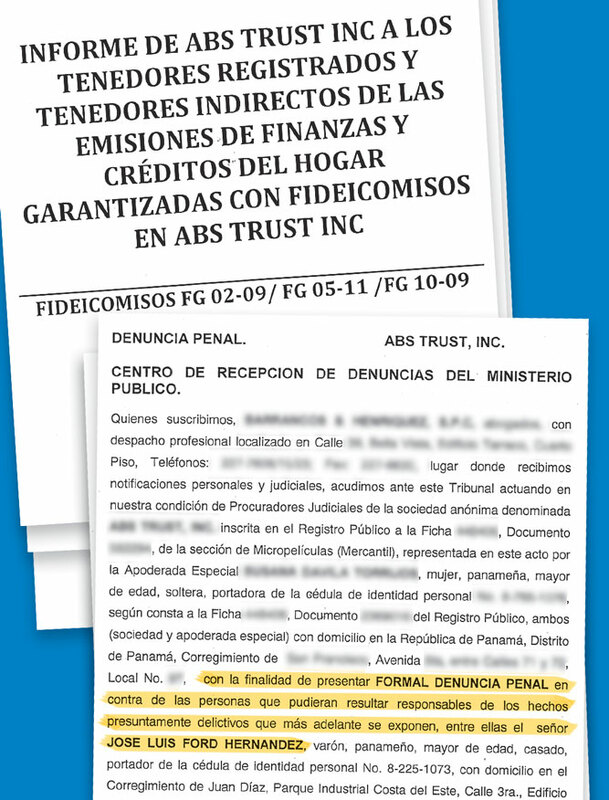 The NYSDFS Order, which specifically refers to Panama as a "high risk jurisdiction for money laundering," twice, in the text, describes a shopping list of AML defects. One of the most unusual violations listed was the pattern of "debit authorizations" (payment reversals), whereby, often months after a wire transfer was effectuated, it was reversed, and the funds returned. Of particular note was the fact that the bank allows this transfer even after the customer had closed his account in Panama. Some of these transfers were to and from the same customer.The utility of such a technique, where permitted by a bank, to facilitate money laundering, is painfully obvious. Neither the Panama City, nor the Colon, branches have been subject to any action by Panamanian banking regulators, according to public records. Compliance officers should immediately check their recent wire transfer records, to determine whether their bank has engaged in any transactions with Mega, and immediately open an investigation into the circumstances surrounding those transfers, the parties involved, and the underlying business relationships shown by those transfers. Gary James Lundgren, barred from the American securities industry, for life, by FINRA, but still evading justice from Panama, has formed a number of new shell companies, through which he continues to illegally solicit American investors, hawking his fraudulent "high yield investment programs," and unregistered securities, masquerading as real estate investments. (1) gloval-investors.net (note deceptively similar to Global Investors & Global Valores). (5) latin-finance.com (this is NOT the magazine of the same name). Lundgren may be the subject of a sealed Federal indictment, for he continues to refrain from traveling to the United States, where he would be arrested, upon arrival at Immigration and Customs, if such was the case. His much advertised visit to his native Alaska this summer, which he posted exensively on social media, was a complete fabrication, as he is afraid to enter the country. 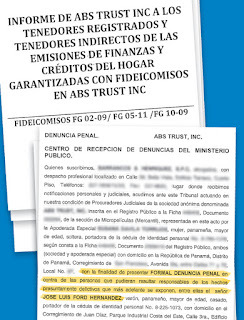 Financiera Generosa*, a Panamanian money service business, owing more than $22m in bonds and commercial paper, has gone into bankruptcy, and creditors fear that their security, where it actually exists, was grossly overvalued by company officers, giving rise to criminal liability of a number of officers and directors. Generosa, which was heavily involved in the finance of commercial buildings, especially hotel construction, was unable to meet its debt service as it came due, particularly its bond issues, and has been forced into bankruptcy. MSBs in Panama are typically involved in finance, unlike those in other countries. Its president, Jose Luís Ford Hernandez, has been confined to his home, and prohibited from leaving the country; criminal charges have been filed against him. commercial ventures to meet their obligations. * Financiera Generosa is the company's trade name; its legal name is Finanzas y Créditos del Hogar SA. The recent increase purchase of luxury condominiums, in South Florida, by affluent Turkish nationals, could represent a compliance problem for local financial institutions, real estate lawyers, realtors, and title insurance companies. The ability of compliance officers to identify Turkish PEPs, and other high-risk potential Turkish clients, seeking to purchase real estate in the area, is questionable, even when the transactions are no the cash sales specified in the Geographic Targeting Order. In truth and in fact, the three major commercial off-the-shelf databases, of high-risk individuals and entities, are not known to have a comprehensive list of Turkish PEPs, due to a number of factors; the language issue, previous AML/CFT assessments that Turkey is only a low- to medium-risk jurisdiction, the lack of objective and comprehensive articles about its citizens, due to governmental influence over the media there, and the focus, of those databases, on higher risk jurisdictions. Turkish Airlines now flies into Miami daily; a new Turkish Consulate has opened there; local realtor statistics assert that five per cent of luxury condominium sales are to Turkish nationals; some Turkish financial experts are confidentially opining that the United Kingdom and France are no longer the primary locations for Turkish nationals to purchase second or third homes. All these factors have contributed to a rapid increase in Turkish investment in South Florida; one source estimates that there are as many as 10,000 part-time Turkish residents in South Florida. A prominent Turkish real estate firm has now opened an office in Miami. (1) Turkey serves as the global overseas headquarters of Hamas, which is a Specially Designated Global Terrorist Organization. Hamas is known to use Turkey as a base, from which to finance terrorist operations, in the Middle East, and in the EU. (2) Turkey has, for years, served as the transit point for illicit petroleum sales of ISIS/ISIL, another terrorist organization. It also was used to evade international sanctions on Iranian oil sales, which is of great interest to the US: see the Reza Zarrab case, now pending in New York. (3) Corruption, including at the highest levels of government, has been the subject of major news stories, especially where Iran sanctions evasion operations are involved. (4) Human smuggling into the European Union, from Turkey, is another major illegal activity that reportedly creates illicit wealth, which must be laundered. 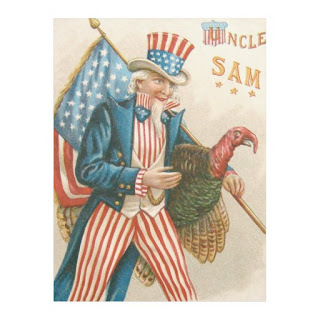 All these issues mean that compliance officers in Florida, and in the United States in general, must carefully examine all affluent Turkish purchasers of American real estate; enhanced due diligence is the order of the day, and the traditional database searches are clearly insufficient for that purpose. One need to conduct an independent investigation, and the use of Artificial Intelligence, in your queries, is highly recommended. Passive databases will not adequately return a sufficiently details profile on most Turkish nationals; Make sure that your search accesses external sources. In light of the fact that the Cayman Gang of Four ringleader, Sharon Lexa Lamb, has repeatedly alleged that the total of the accounts, at Dundee Merchant Bank, never exceeded $5m, attached hereto, and made a part hereof by reference, is a $95.5m transfer, of registered securities, from Dundee, sent to Weiser Asset Management, in the Bahamas. Obviously, this represents client assets, transferred without authorization, out of the victims' accounts at Dundee, in violation of several Cayman banking laws, as well as being a criminal act. CIMA originally estimated the losses at $450m, if not higher, but Lamb insisted that no such funds existed in Dundee Merchant Bank. Dundee officers illegally co-mingled client funds, while Lamb falsely assured them that their money was held in individual accounts, by name, at Butterfield Bank. Bateman's corporations, B & C Capital, Ltd., and Bateman and Company, Ltd., looted funds from the victims at Dundee, which was a brass plate bank, without actual deposit and safekeeping facilities. Dundee placed its clients' accounts in the Bank of Butterfield's Cayman Islands branch, and Lamb transferred funds to Bateman, from those accounts. The transfer date appears to be 25 February, 2015, when Lamb was the Senior Vice President & Director, and Derek Buntain was President & Director, respectively, of Dundee Merchant Bank. As such, they are both strictly and individually liable for the theft, jointly and severally with their employer, Dundee Merchant Bank. The Peoples' Republic of China has announced that it has arrested 450 individuals, and charged them with money laundering. The figure 200bn Yuan (USD $30bn) has been quoted by the Ministry of Public Security, which announced the closure of 192 so-called underground (unlicensed) "banks." This is all part of China's expanding anti-corruption campaign, with seeks to rein in rampant official corruption, and to seize untaxed wealth, while punishing offenders in a very public way. China's underground banks are covert operations that seek to illegally move capital out of Mainland China, to evade the onerous regulations on overseas transfers. A wide variety of ruses involving exports, purchases of goods and services, investments abroad, and just about every legitimate reason to transfer money out of China are imaginatively employed, or transactions are configured to appear clean. Chinese nationals are limited to the equivalent of $50,000, per year, transferred abroad, but those with illicit cash, from bribes & kickbacks, or money upon which taxes have been evaded, or criminal proceeds, are driven to export their dirty wealth, by any means possible. Beginning early this year, many large, completely legitimate transfers, especially of foreign currency, have been delayed, due to the policy that the government is seeking to reduce the outflow of wealth. Compliance officers in North America, and in Europe, should carefully examine large funds transfers from China, and demand that their clients provide sufficient documentary evidence of their legitimacy, lest they later receive law enforcement inquiries into transfers believed to be criminal proceeds. Enhanced due diligence is the prudent order of the day in such cases, without exception. A Federal Judge, at a sentencing hearing in US District Court in New Jersey, made a number of unusual comments, directed to what he called a ridiculous pattern, of prosecutors zealously bringing corruption cases, and then often seeking sentences which did not include prison time, for defendants who enter a plea of guilty, saving the Government the cost of a trial, and increasing conviction statistics. The judge stated that the such conduct makes no sense in the context of effective law enforcement. He further stated that individuals whose conduct defrauds the government, then jail time is the correct punishment. His honor noted that the US Attorney's Office in Newark filed Section 5K1.1 motions, which is a request for the Court to depart below the Guidelines, some of which require mandatory sentencing, in pronouncing a sentence. While cooperating defendants, who enter a guilty plea, and provide Substantial Assistance, that results in additional indictments, or the recovery of assets for the US Government, often receive a lighter sentence than the Guidelines propose, the thrust of the judge's argument was that the US Attorney was really seeking a high percentage of convictions, and that individuals who participate in corruption acts should receive a greater sentence than simply probation, and that the public is not served by such minimal sentences. From a strictly compliance viewpoint, a sentence of probation results in the defendant's continued presence in the community, where his conviction may not be generally known, as non-financial companies do not always check criminal records, when making a decision with whom to do business, and especially with whom to continue to do business. A search of the US Bureau of Prisons website, which is freely available, will not turn up the offender, as his case goes to the US Probation Office. Many compliance officers do not search PACER, which is a pay website, and therefore, his conviction may not be known. When it comes to companies in other states or countries, it is doubtful that those businesses will know that they are conducting transactions with an individual with a corruption conviction, and who may have committed even more serious acts, but evaded punishment, through a guilty plea. As the result, the individual, who did not suffer any jail or prison time, and failed to understand the consequences of his actions, may reoffend later, and involve more victims. IS CAYMAN GANG OF FOUR TRADER NOW COOPERATING WITH LAW ENFORCEMENT ? The August 10 filing, on behalf of the insolvent Cayman company, B & C Capital, Ltd., against Bateman and Company, alleging conversion of millions of dollars that allegedly belongs to B & C, and the back story rumors, about a bitter dispute, between Ryan Bateman, and Sharon Lexa Lamb & Derek Buntain, begs the question: is the fugitive fraudster Ryan Bateman a Cooperating Individual, working on behalf of, and with, a North American law enforcement agency ? This leads to the logical follow-up question: has he received immunity for prosecution for his assistance ? We cannot say, but consider this. One of Bateman's former staff members, Joshua Van Dyk, who was running a criminal tax evasion scheme while working there, and was later charged, when he was at another firm, received a sweetheart deal in an American criminal case, for what can only be described as Substantial Assistance. In fact, through he received a sentence of imprisonment of years, it appears that the CI was never sent to a Federal Prison, but directly to a halfway house in California, where, incredibly, he began working, during the day, in the securities business. His Confidential Informant status, though never confirmed, is believed to have been a factor. Is Bateman, living openly in Fort Lauderdale's upscale Southwest Ranches district, when we last checked, working with a law enforcement ? We cannot say, but we will be watching for indications of his role in proceedings, or investigations, against the remaining Cayman Gang of Four members, Sharon Lexa Lamb, Derek Buntain, and Fernando Motto Mendez, especially in Canada and the United States. The Republic of Panama, which rarely arrests, let alone convicts, individuals, or banks, of money laundering offenses, has now sentenced a Colombian kingpin to nine years imprisonment, on money laundering and drug trafficking charges. Not only is it an extremely light sentence, given the amount of money and drugs the defendant was involved with, he's going to be released now, for he has already served ten years, awaiting the outcome of his case, in Panama's notoriously dysfunctional court system. How can someone be held, in custody for ten years, before his sentence is handed down ? Worse, Pablo Rayo Montaño, who was a drug kingpin that moved 70 tons of cocaine out of Colombia, gets preferred treatment from the Court. He has been compared to the late Pablo Escobar, yet his relatively short sentence, which should have been more like 30 years to life, given his history, will allow him to now return to Colombia, most likely to renew his trafficking and money laundering activities. Kingpins deserve to be imprisoned until they are too old to further offend, in my humble opinion, yet Panama's judiciary, notoriously corrupt, gives him a pass. It is obvious that the Government of Panama, under serious pressure, in the wake of the Panama Papers scandal, wanted to show that it is tough on crime, but this sentence is little more than a cruel joke. When Panama's money laundering bankers, and large crew of Venezuelan money launderers operating in Panama City, are arrested and imprisoned, we will begin to pay attention, but meanwhile, Panama shall remain what it is, a haven for money launderers, and their clients. Kimberly Wendell Rothstein, the ex-wife of convicted attorney/Ponzi schemer Scott Rothstein had her post-incarceration supervision terminated eight months early. Now working in an automobile dealership, the defendant served fifteen months, for attempting to secrete, and sell, her jewels, hiding them from a court-appointed trustee who was seeking to assemble assets, in order to repay investor-victims. Her two-year term of Supervised Release was reduced by her sentencing judge. She pled guilty to money laundering conspiracy, obstruction of justice, and witness tampering. her divorce from Scott Rothstein, who is serving a 50-year sentence, was final last year. To prove the old adage, "there's no honor among thieves." the members of the Cayman Gang of Four, Sharon Lexa Lamb, Ryan Bateman, Fernando Motto Mendez, and Derek Buntain, are reportedly at odds over money, approximately $5m, and the evidence indicates that it is part of the huge haul the Gang illegally took out of Dundee Merchant Bank's accounts at the bank of Butterfield's Cayman Islands branch. Some aspects of the dispute surfaced on August 10th, when, in what is captioned as a Winding up Petition, liquidators for the allegedly insolvent B & C Capital Ltd., brought the action against a related company from the Bateman Group, Bateman & Company, Ltd. It is alleged that millions of dollars, in "cash, securities and other assets," that are the property of B & C have not been transferred to it by Bateman and Company. Reliable sources in Grand Cayman assert that Ryan Bateman, who is a fugitive from justice in the Cayman islands. since 2014, claims that fellow Gang crew members Sharon Lexa Lamb and Derek Buntain, and possibly also Fernando Mendez, stole money from Bateman. What is missing from the story is the little detail regarding the fact that the assets at issue belong to Canadian retirees, who entrusted their life savings to Lamb and Buntain, who improperly, and without authorization, transferred millions, through Bateman's shell companies, overseas, where it remains missing. Perhaps the attorneys in Grand Cayman can tell us how a fugitive from Cayman justice can assert what he claims are his rights to what amounts to stolen money, while intentionally remaining safely outside the jurisdiction. That's about as bad as Bateman having Derek Buntain sign the supporting affidavit in the B & C Capital Ltd. liquidation proceeding, which he did, notwithstanding an obvious conflict of interest. The Cayman Islands judges handing these cases should be made aware of these facts. We are still trying to figure out how Bateman, who illegally transferred $95m in stolen funds to the Bahamas, has the gall to say his partners in crime took money from him, but we'll let the answers come from the two pending civil cases in Canada. And what about Sharon Lexa Lamb, who is reportedly persona non grata in Grand Cayman social circles, due to the fact that residents there blame her for the steep decline in the reputation of the Cayman Islands ? Did she steal from her thief & partner ? We cannot say, but stay tuned to this blog for more information. 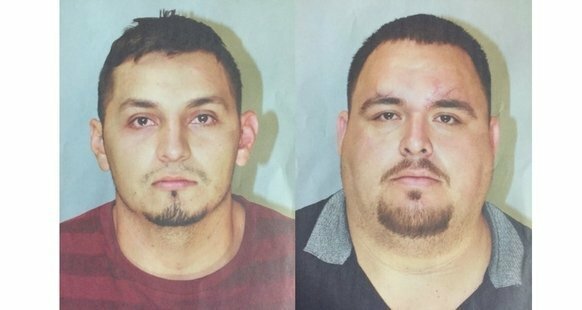 Two individuals, Roland Garza & Carlos Olivera, were arrested this week, driving a brand-new Cadillac Escalade, when they were subjected to a traffic stop in Driscoll, Texas, south of Corpus Christi. 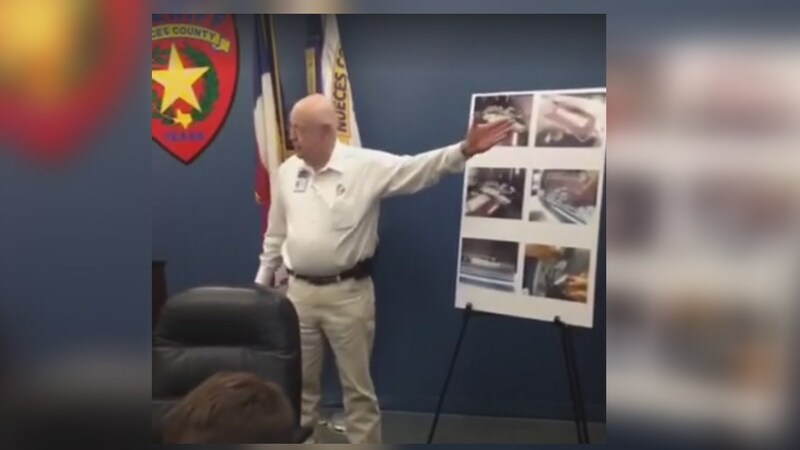 The driver had a suspended license, and when the vehicle was searched, $546,390, in cash, was discovered, artfully hidden in several places within the vehicle. The two were traveling south on Highway 77, and were close to the border with Mexico. Who drives a new car, with a suspended license, towards the border, carrying cash ? Both defendants are in jail, and their bail has been set at one million dollars each. They are facing money laundering charges. 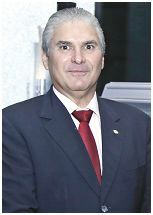 DMG Group, the failed billion-dollar Ponzi/Pyramid scam of the convicted Colombian businessman, David Murcia Guzmán, now has a successor company, with the same name, but it is already in trouble. Murcia's brother, Alvaro, dusted off the disgraced brand, and reopened for business a few months ago, reportedly to large crowds of prospective investors. The Colombian national taxing and customs authority, better known by its acronym, DIAN, has accused Alvaro, and the rest of the Murcia extended family, who is running the reestablished pyramid enterprise, of using the agency's logo, on their new DMG flyers and documents, without the express written permission of DIAN. The criminal proceeds obtained in the original million dollar Ponzi scheme of Murcia, was inflated to approximately three billion US Dollars ($3bn), when, according to wtinesses, narco-profits, earned by the FARC, were laundered through DMG, with David Murcia's cooperation. Most of that currency was then bulk cash smuggled into Panama, on speedboats, arriving at night at Flamenco Marina, on the Amador Causeway. Delivered, while sometimes still damp from the ocean, to Murcia laundryman, Gary Lundgren, the funds were used to purchase, for cash, condominium residences in such places as the Trump Ocean Club, using bearer share Panama corporations, to conceal the name of the beneficial owner. Lundgren acted as Murcia's investment counselor*, though most of the money allegedly was the property of the FARC. Murcia, serving time in the US, is believed to be cooperating with law enforcement. When Murcia was summarily deported, allegedly on the orders of Ricardo Martinelli and Lundgren, both of these partners took possession of the Trump condos, and other properties, though we now wonder if the FARC, which is presently formalizing a comprehensive peace treaty with Colombia, will be making a formal (or informal) claim against Lundgren, and against all that stolen real estate, in Panama. This may be why Gary Lundgren maintains several layers of security at his offices in Panama City. FINRA Broker Check for details. His current securities orders are reportedly being placed, illegally, as his Panama City brokerage has no licensees, by ZacGary Lundgren, James Lundgren, and Griselda Perez. Reza Zarrab, the Iranian national charged in US District Court with conspiring to evade American sanctions against Iran, Money Laundering, and bank fraud, was less than truthful, when the issue of his nationality, and passports available to him, came up after his arrest. Buried in the court filings is the Government's statement that he only admitted to two passports, from two jurisdictions, but, in truth and in fact, his attorneys said he had three. It is not known whether they were turned over to his 12 attorneys, in anticipation of his release on bond. Which passports he holds, and how he acquired them, seems to be a bit of as puzzle. Born in Iran, he holds an Iranian passport. he lived in Turkey for several years, while a child, and much later returned there as an adult. the legality of his acquisition of Turkish nationality has been questioned, in Turkish media, for the procedure that resulted in the issuance of his passport did not follow the law, and raises the presumption it was obtained through influence. Add to that the fact that he was given a passport in a deceptively similar name, Riza Sarraf, and you have a potential problem. Some sources state that he also holds a third, an Azerbaijani nationality, and passport, this is said to be due to his ethnic origin; some sources say he lived in Azerbaijan, for an unspecified period, while others say his residence outside of Turkey, was limited to the United Arab Emirates. The fourth reputed passport is from Macedonia, and is said to be an economic, or investor, citizenship; Therefore, assume that there are others. Compliance officers, faced with the challenges of dual citizenship, economic passports, and even bought-and-paid-for diplomatic passports (remember the St Kitts and Antigua scandals), must tread carefully, to separate the wheat from the chaff. (1) Was he born in the country where his passport says he is a citizen ? (2) Is the passport relatively visa- and entry stamp- free ? (3) Is the passport newly issued, or does it look brand-new ? (4) is the passport from a jurisdiction where economic citizenships exist, or a developing country jurisdiction where corrupt government agents are well known to sell them ? (5) Does the passport holder fluently speak the language that goes with the passport, including the unique colloquial expressions, or slang, for that country ? (6) Does he, perchance, have a valid driver's license from that country, and one that is not brand spanking new ? Now, ask him to produce the passport that goes with his place of birth. One of the key indicators through which we measure and calculate Country Risk is the ability of a jurisdiction to protect foreign investment, and to obtain justice for the victims, when financial crime occurs, meaning the prudent use of civil and criminal proceedings, both to punish those who break the law, and to recover the investments lost through crime. When a government repeatedly fails to protect those who make substantial monetary investments in the jurisdiction, there can be no confidence in further investment, and it is discouraged by raising the level of Country Risk to a point where any financial exposure is not only dangerous, the risk as stated rules out any further financial activities whatsoever, and existing holdings are to be terminated forthwith. One year ago, victims of the financial criminals who are now known as the Cayman Gang of Four presented evidence and testimony to the Cayman Islands Monetary Authority [CIMA], and to the Royal Cayman Islands Police Service (RCIPS). to date, there have not only been no arrests made, nor any civil or regulatory proceedings commenced, but targets of the investigation have not been interviewed, nor evidence sought. All queries are fielded with the assurance that the matter is under investigation, but there is ample anecdotal evidence that no work has been done for months, in either agency. In truth and in fact, the majority of opinions, taken from experienced financial professionals resident on Grand Cayman, confirm that they believe the leadership of both government agencies is not interested in pursuing the Cayman Gang of Four matter, due to the negative publicity which will, necessarily, be generated from a case which, by CIMA'a own estimate, involves the theft of over USD$450m, the fraudulent use of an unlicensed "bank," the laundering of, and unauthorized transfer of, many millions of dollars, from shell companies, through Caymanian banks, to other offshore financial centers, by known fraudsters and criminals. Cayman fears the consequences of a huge financial scandal. This case is said to be the thirteenth such financial scandal, of recent memory, in the Cayman Islands, none of which reportedly resulted in any foreign investor, bank client, or fund client, recovering any of his money, demonstrating a flawed system, that favors Caymanians over foreign investors, so as not to affect the status quo in, and reputation of, the jurisdiction, as a safe offshore financial center. Unfortunately, the fact that Cayman is a British Overseas Territory, does not guarantee that local government will act to protect those individuals who place their wealth there. For the above reasons, I have raised Country Risk for the Cayman Islands to the highest possible level, to the plateau where no investment can be recommended as safe, and a strict warning to avoid all future contact with Cayman financial institutions, corporations, and financial service firms, as losses due to crime cannot be recovered. 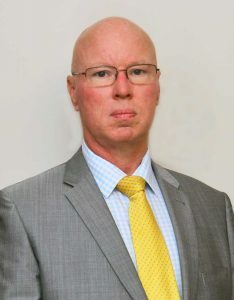 If you are looking to determine where to fix responsibility for the inaction of these government agencies in enforcing the law, I humbly suggest you ask the Managing Director of CIMA, Mrs. Cindy Scotland, and the Detective Superintendent of the Royal Cayman Islands Police Service, Peter Landsdown, who supervises the Financial Crimes Unit, why no arrests have been made in the Cayman Gang of Four scandal.